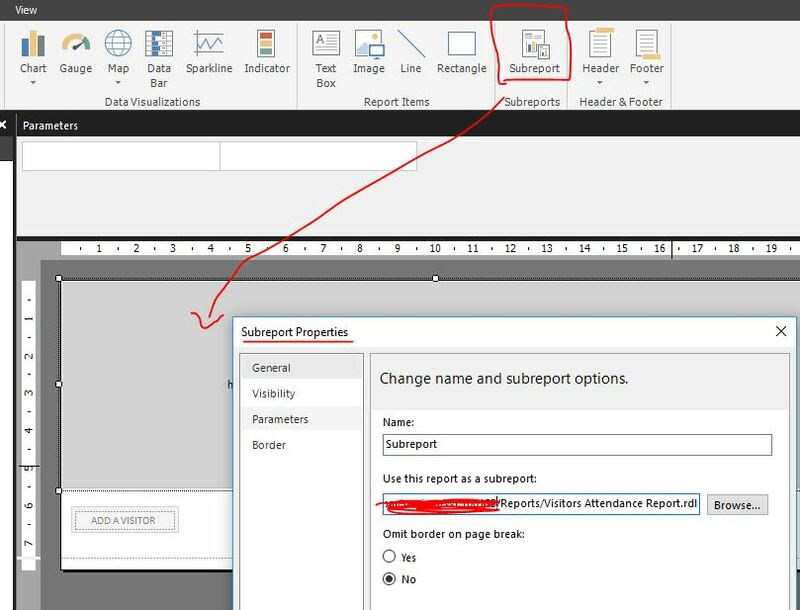 I am using the Report Viewer WebPart to show a .rdl report from another page but the error saying that it cannot find the report. Microsoft.ReportingServices.Diagnostics.Utilities.ItemNotFoundException: The item'https://domain.com/services/Report.rdl' cannot be found. Now, my understanding is that the ReportViewer cannot display a report from another source unless the report is within the same page/domain. Is there another way around or am I left with no options? Was the source from another domain? If yes, did you set trust between the domain with SharePoint default domain? Check whether the web part could work if the source is from the default SharePoint domain. 1. SSRS service is started in your farm and your web application is connected to SSRS service application. 2. Report Server Integration Feature is activated in your site collection. As a workaround, I had to add a "Subreport" within the .rdl file pointing to another source of .rdl file and that solved my issue. Not the answer you're looking for? Browse other questions tagged sharepoint-server reporting-services report-viewer or ask your own question. What is difference between SQL Report viewer webpart and showing the report via page viewer webpart?